Image Credit: IFE, URI-IAO, UW, Lost City Science Party; NOAA/OAR/OER; The Lost City 2005 Expedition. the DSCC attended the Annual Meeting of the Northwest Atlantic Fisheries Organization (NAFO) in Estonia, calling for better protection of deep sea species and vulnerable marine ecosystems, closure of the last remaining seamounts open to bottom fishing, and an end to deep-sea IUU fishing, stressing international commitments to combat IUU fishing and conserve and protect marine biodiversity on the high seas. NAFO adopted measures to protect the long-lived Greenland shark but reopened an area of important deep-sea habitat to bottom trawling despite the area having previously been closed based on scientific advice to protect vulnerable ecosystems. the European Union adopted quotas for deep-sea fish in EU and international waters in the Northeast Atlantic. This announcement included a decision to continue fishing for the endangered roundnose grenadier, an agreement on higher quotas than scientists advised for red seabream and alfonsinos, and the removal of catch limits for six other fish stocks, rendering them practically unmanaged. DSCC has been calling for a prohibition of fishing for roundnose grenadier and the EU’s decisions have been met with strong criticism from the conservation community, on the grounds that the EU is essentially “sanctioning overfishing” of deep-sea species. More than 150 scientists have united to call on EU leaders to end the “overfishing crisis” in the Mediterranean and heed scientific advice by restricting bottom trawling, protecting nursery grounds and setting catch limits. The DSCC joined 40 environmental organizations which came together to call on the European Commission prevent any further harmful fisheries subsidies which would support the construction of new fishing vessels, increasing fishing capacity and threatening the recovery of depleted fish populations. In July, the DSCC attended the annual meeting of the International Seabed Authority (ISA). The DSCC provided two written submissions and made numerous interventions. 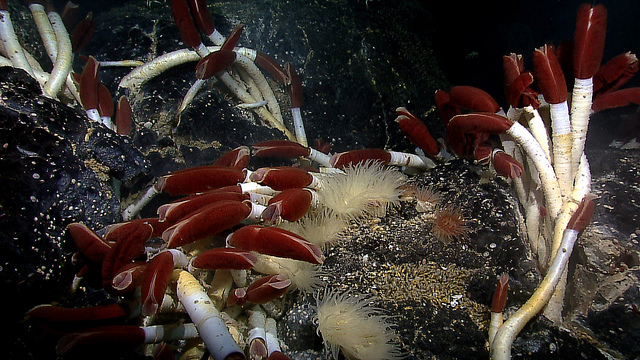 The Coalition called for effective protection of the ocean and full public transparency to be written into the regulations, as well as allowing space for a broad public debate on the risks of opening up the deep ocean to seabed mining. In September, the DSCC attended the first United Nations Intergovernmental Conference on Marine Biodiversity of Areas Beyond National Jurisdiction. At this meeting, the Coalition held a side event in partnership with the International Programme on the State of the Ocean (IPSO) on deep-sea mining in areas beyond national jurisdiction (ABNJ). The DSCC called on states to recognize and reconcile the fact that on the one hand they are negotiating a new treaty (instrument) under the Law of the Sea Convention at the UN to conserve biodiversity in ABNJ while at the same time negotiating a new instrument under the law of the Sea Convention at the International Seabed Authority that is likely to lead to loss of biodiversity in ABNJ. the DSCC submitted comments on the release of the Draft Regulations on Exploitation of Mineral Resources in the Area – draft commercial mining regulations -by the Legal and Technical Commission of the International Seabed Authority (ISA). Image credit: Mountains in the Sea Research Team; the IFE Crew; and NOAA/OAR/OER. In October, The DSCC attended an event in Germany to inform stakeholders and prompt discussion around the 2nd phase of the MiningImpact project on ‘Environmental Risks and Impacts of Deep-Sea Mining’, funded through JPIOceans. the DSCC participated in a panel during a meeting of the World Economic Forum’s Global Battery Alliance, in order to bring attention to the environmental concerns and costs surrounding deep seabed mining and biodiversity loss. Some proponents claim that deep-sea mining is needed to supply cobalt and other metals for the batteries for electronics, electric cars and renewable energy technology. A 2016 study by the University Technology Sydney, however, calculated that deep-sea mining was not necessary to provide the metals needed to transition to a fully renewable energy economy. several DSCC members participated in a workshop on “A benefit sharing mechanism appropriate for the Common Heritage on Mankind”, jointly organized by the German Environment Agency and the Institute for Advanced Sustainability Studies. A report is due out early in 2019. In December, news broke that Nautilus Minerals – a company proposing to mine the deep sea in Papua New Guinea – had run into serious financial difficulties resulting in the loss of an essential support vessel. The project has been met with protests by coastal communities and civil society groups due to its expected social and environmental impacts. The project’s future is looking bleak. The DSCC had participated in a roundtable discussion about Nautilus Minerals together with Reverend Roger, General Secretary of the Papua New Guinea Council of Churches, MEPs and others at the European Parliament in September. 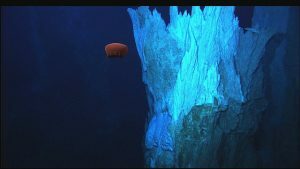 In the past 6 months, the topic of deep seabed mining has been attracting more attention in the media, including several interviews with DSCC members, published by Nature, The Economist, Financial Times, Le Figaro, ABC Radio Australia, China Dialogue, Revista Piaui (Brazil), Radio France International Español, and BBC. 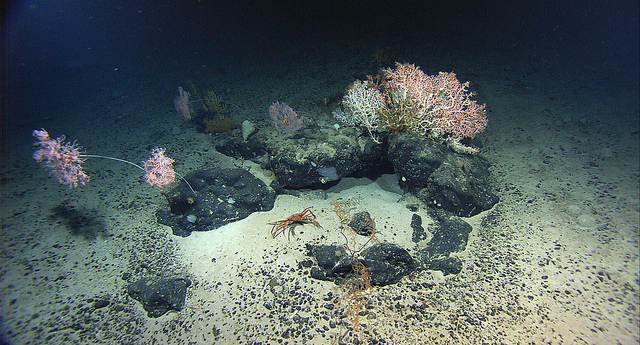 In September the DSCC participated in a meeting of the Deep Ocean Stewardship Initiative and the 15th Deep Sea Biology Symposium, which brought deep-sea scientists from around the world to discuss the latest research relevant to deep-sea fisheries and deep-sea mining amongst other issues. In November, a new three-part cartoon series was released by ECOGIG in collaboration with Sherman’s Lagooncreator and filmmaker Jim Toomey. In “the Adventures of Zack and Molly”, Zack is more interested in the small world of his smartphone than the larger world around him. 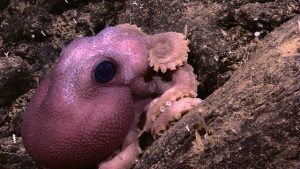 Molly, a tech-savvy Dumbo Octopus takes him to her deep-sea home to see its unique features and diverse marine life, and to help him understand how human activities threaten its health. January 23-27 – Annual Commission Meeting of the South Pacific Regional Fisheries Management Organisation, the Netherlands. February 25-March 15 – Council and Legal and Technical Commission meetings of the ISA, Jamaica. March 19 – High-Level Conference on Oceans “The Future of the Blue Planet”, Brussels. March 25-April 5 – Second session of the United Nations Intergovernmental Conference on Marine Biodiversity of Areas Beyond National Jurisdiction, United Nations headquarters, New York. March 25-29 – Scientific Committee for the Southern Indian Ocean Fisheries Agreement (SIOFA), Japan. April 23-26 – Meeting of the Scientific Committee of the North Pacific Fisheries Commission, Republic of Korea. May 2-3 – Meeting of the Informal Consultation of States Parties to the 1995 UN Fish Stocks Agreement, United Nations headquarters, New York. May – International Seabed Authority workshop on the development of standards and guidelines for deep-seabed mining, South Africa. June 10-14 – Meeting of the United Nations Informal Consultative Process on Oceans and the Law of the Sea, United Nations headquarters, New York.